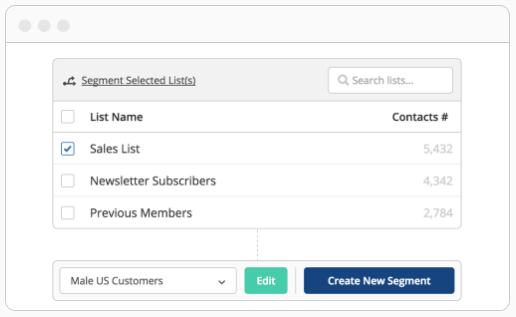 Easily filter your list to get the right message to the right contact. 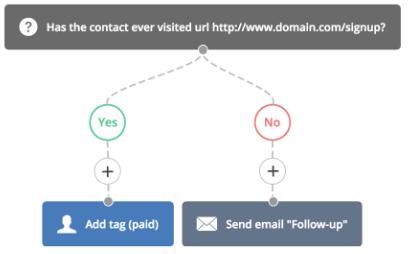 Increase click throughs and conversions by targeting specific groups of contacts. 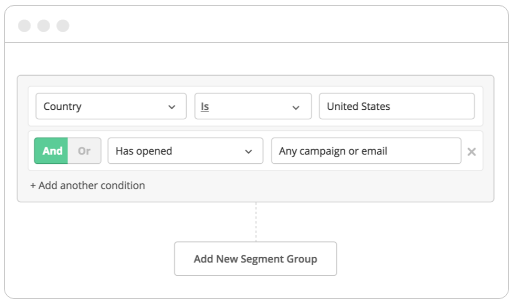 Segment by demographics, location, behavior, custom fields, tags, and more, so you can pinpoint the exact contacts you want to reach. Segment for an extremely granular focus. Send to ​female LinkedIn users who have viewed a specific product or customers in Canada who clicked a link. Save segments for quick and easy reuse. Customize your message per contact using conditional content so that each contact gets the perfect message. Display men's products to ​males and women's products to ​females using the same email. 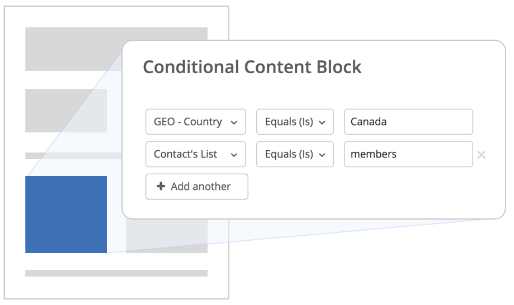 Do more than divide your list, dynamically segment within automations so your marketing automatically adapts to contacts. Vary how you follow up with a contact that matches certain demographics, then pivot again if they open an email or visit a web page.